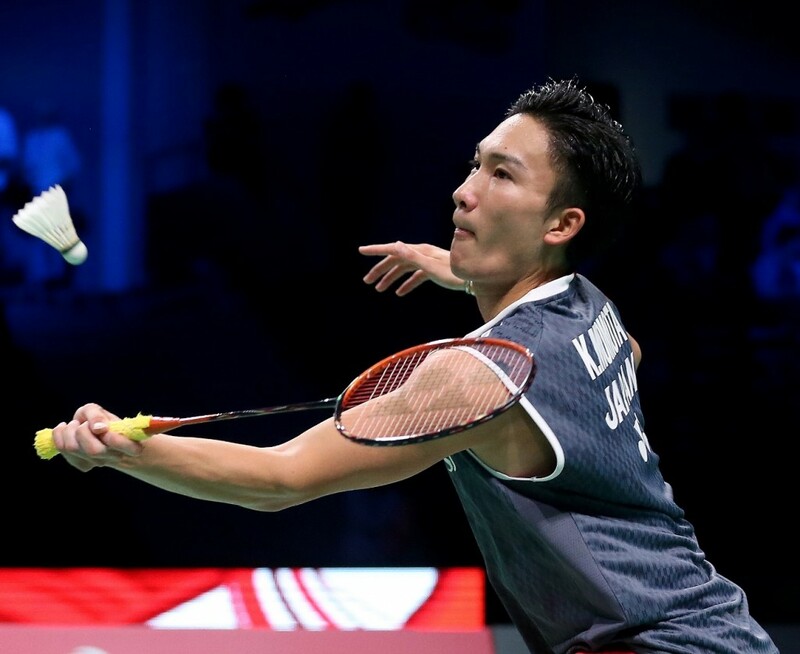 Kento Momota and Tai Tzu Ying entrenched themselves further as the singles titans of the moment, progressing to the Men’s and Women’s Singles finals respectively today at the DANISA Denmark Open 2018 – Presented by VICTOR. In winning his semi-final, 24-year-old Momota ensured there will be new champions in all five categories as he dethroned Kidambi Srikanth who stood atop the podium last season. The 25-year-old Indian – a dominant factor a year ago – was almost clueless against his clinical rival who had a ready answer to every shot that came his way, en route to a 21-16 21-12 rout. The cool and calm Japanese faces 28-year-old Chou Tien Chen for the title which will be the first Denmark Open crown for either of them. In contrast to Momota, Chou needed three games to quell the challenge from Anders Antonsen – the lone Dane in action on semi-finals day. Things initially looked promising for the 21-year-old hometown player who seized his chances to claim the opening salvos. However, the change of ends saw the resilient Chou lift his performance to control the next two games and draw more errors from his opponent. The Chinese Taipei star, competing in his fourth straight HSBC BWF World Tour semi-final, eventually prevailed 19-21 21-11 21-12 in 74 minutes. 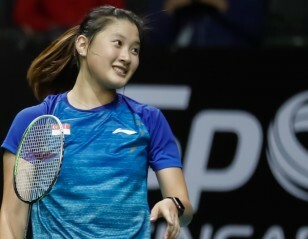 Earlier, Chou’s compatriot Tai Tzu Ying booked her place in the Sunday showpiece, to be a step away from capturing one of the few Women’s Singles titles to have eluded her. The top seed was all business versus He Bingjiao, not letting up until the final point was won against the Chinese who denied her a medal at the World Championships. The crafty Tai produced another mesmeric display; 21-14 21-12 in just half hour. Across the net from Tai tomorrow will be India’s Saina Nehwal who has looked rejuvenated and determined against a tide of younger opposition this week. The experienced campaigner brushed aside spirited contender, Gregoria Mariska Tunjung, in her bid to reclaim the title she hoisted in 2012. 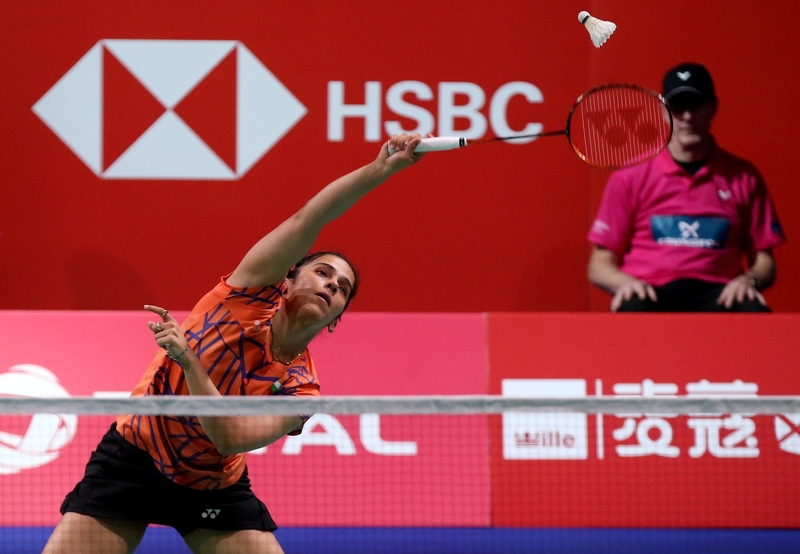 Nehwal, 28, never looked in any danger – cruising through 21-11 21-12 also in 30 minutes – though her Indonesian rival showed some commendable flourishes as she settles in at senior level. “She is a good, upcoming player so I was prepared for her. I am happy to beat so many top players here. I’ve improved a lot in my movement and my shots are sharper. Also, I am more confident and I have got my rhythm,” assessed Nehwal. Doubles also saw many big names breezing into the finals and setting the stage for some tantalising matches. Men’s Doubles is sure to be a fireworks-filled affair as Marcus Fernaldi Gideon/Kevin Sanjaya Sukamuljo of Indonesia clash with their arch-rivals Takeshi Kamura/Keigo Sonoda. The Japanese romped into the title-decider, beating England’s Marcus Ellis/Chris Langridge, 21-17 21-19. Gideon/Sukamuljo claimed a tight tussle against their veteran compatriots, Mohammad Ahsan/Hendra Setiawan (21-18 24-22). Mixed Doubles will feature the resurgent Dechapol Puavaranukroh/Sapsiree Taerattanachai of Thailand (featured image) versus top tandem, Zheng Siwei/Huang Yaqiong. Leading 11-6 in the decider, the Chinese resisted a fightback by Indonesia’s Tontowi Ahmad/Liliyana Natsir, winning 21-11 19-21 21-17. The Thai duo grappled with similar circumstances versus Seo Seung Jae/Chae Yujung. The Koreans clawed back to 14-16 down, having been 2-13 adrift in the third game but Puavaranukroh and Taerattanachai held on 21-16 17-21 21-16 in 67 minutes. 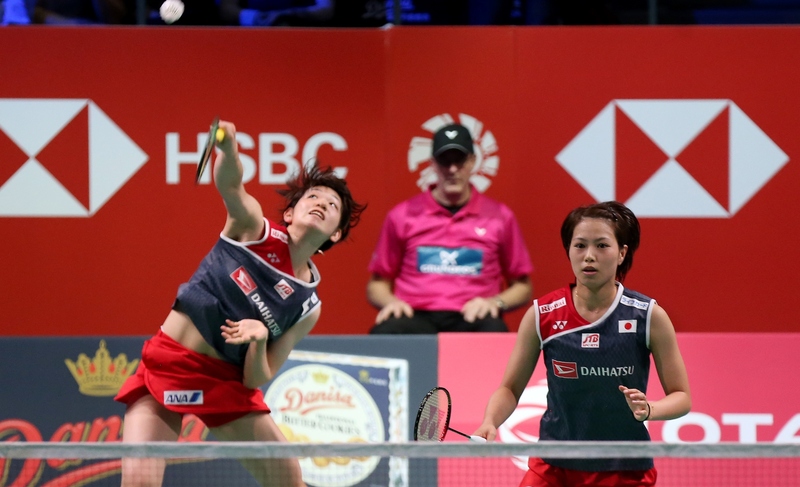 Japan have predictably won the Women’s Doubles title. All that’s left to be determined is whether it will be top seeds, Yuki Fukushima/Sayaka Hirota, or their team-mates, Shiho Tanaka/Koharu Yonemoto, who will be champions. 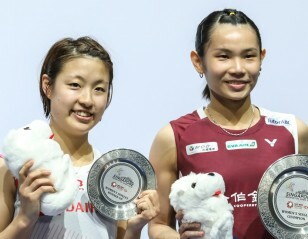 The world No.1 pair beat Greysia Polii/Apriyani Rahayu of Indonesia (21-13 21-16) while Tanaka/Yonemoto stopped Korea’s Kim Hye Jeong/Kong Hee Yong (21-12 21-14).